Have you considered the impact travel has on your business? Transport is the fastest growing source of emissions in the UK, and commuter and staff travel constitutes nearly 40 per cent of all miles driven by car. Work-related travel accounts for 17 per cent of local trips. Driving in Richmond upon Thames is dominated by short trips with over 60 per cent of trips being less than 5km. Some of these trips could be made by cycling or on public transport. Save money - By supporting walking, cycle and public transport use among staff and visitors, your business can save money on expenses and parking costs. Be an employer of choice - Supporting travel choice can make your organisation a more attractive place to work and visit. Increase efficiency - By encouraging an active lifestyle among staff and boosting their health, you can increase their productivity and alertness and reduce absenteeism. Reduce carbon emissions - Enhancing your environmental credentials can help you give back to the local community. To help you a site audit, staff and visitor survey and travel template have been provided. Travel Survey (MS Word, 282KB) - Find out how your staff and visitors currently travel to your site. Organisation Travel Strategy Template (MS Word, 132KB) - Set your objectives and identify actions to promote/support travel choice. Review your actions and re-survey annually to see how you are progressing. Reviewing your organisation's travel patterns can help you identify how to improve walking and cycling access to your site. 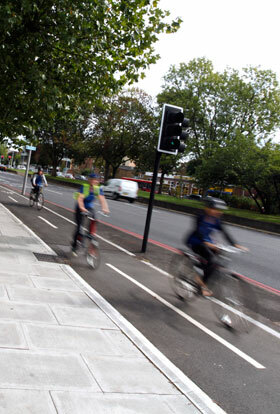 Discuss your suggestions with the Council by contacting trafficandengineering@richmond.gov.uk. There are a number of programmes and services available to help you promote and support travel choice for your organisation. Information can be found in the one-stop-shop travel toolkit designed specially for workplaces below. Valuable car parking spaces can be freed up by providing staff with an alternative to driving. For example, a 30 minute walk burns around 99 calories. 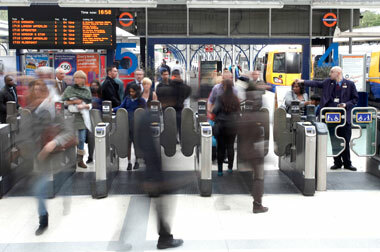 Save money on London underground, National Rail and Overground journeys by using an Oyster card. Why not download the Tube map, Tube services or Journey Planner widget to your organisation’s website? Using an Oyster card for bus travel can save you up to 40%. Free bus maps can be ordered for your organisation’s reception. Why not put a map of local bus routes up on your staff notice board? Your staff might not be aware of the wide number of bus routes throughout the borough. You could also send bus maps out with visitor information details, or stock them in your reception area. Businesses can save up to 15% on fuel costs by encouraging smarter driving and halve fuel costs through car sharing. Using a car club can save you organising tax, MOT, insurance and servicing pool cars. 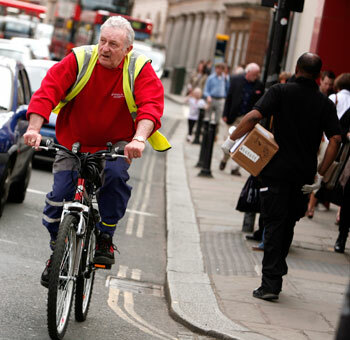 During rush-hour traffic a bicycle is about twice as fast as a car. Ten bikes can be parked in the space taken up by one car. Travel plans are used to mitigate the negative impact of travel to and from a development and may be required as part of an organisation’s planning application. Council guidance is available for developers and/or their agents on the travel plan process and can be requested from the Highways and Transport department by emailing highwaysandtransport@richmond.gov.uk. The templates provided above can also assist you in your travel plan submission.